Master Lock has released a wall-mounted key lock box that offers the widest internal capacity available in the security market. The robust Select Access® 5426EURD provides essential peace of mind for homeowners or business owners who are worried about the security and resilience of other security devices. 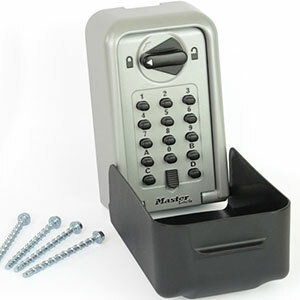 The simple and secure key lock box has been created to ease access sharing. The unit is perfect for project managers who want to store a large number of keys in one incredibly secure key safe; each of these sets can then be accessed by multiple onsite workmen. Master Lock’s expansive innovation means that only one product needs to be wall-mounted and combination codes can be easily managed. With its latest release, the American superbrand has also accommodated carers and Airbnb hosts who want to securely share access to a patient’s living space or holiday homes respectively. The product has received accreditation from major EU independent security agencies including Sold Secure, Secured by Design (UK) and CNPP (France) and the Select Access® 5428EURD with privacy shield has been certified by SKG** (Netherlands) which makes our key lock box one of the very few to achieve this level of security! The zinc-heavy construction is spacious enough to house a large number of single keys or multiple key bunches, plus access cards and fobs. The 14-choice keypad is both numerical and alphabetical, meaning that 16,000 sophisticated combinations are possible to program. Once the correct code has been entered users simply move an ergonomically-shaped and easily rotatable handle to access the storage chamber. Master Lock’s 90-plus years of security expertise means users can rely on a product that has been perfected and designed from the ground up by a team of dedicated security professionals at the brand’s headquarters in Wisconsin, USA. Master Lock will be exhibiting at Safety and Health Expo 2018 on stand N155. Come and see us to learn more about our security solutions including our connected products and security storage. 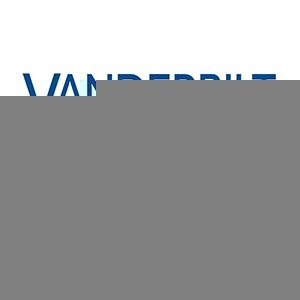 Vanderbilt, a global leader in providing state-of-the-art security systems, has announced a new partnership with Citel Spa, a premier supplier of physical security information management (PSIM) software to Italy’s financial and industrial sector. 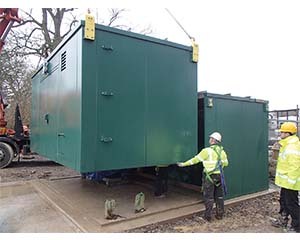 Technocover is solving asset protection on the critical infrastructure site, however challenging the location, with flexible installation options for its LPCB approved UltraSecure security kiosks.